Thanks Tom Ford, we got your most recent memo on grown up men and wearing shorts in the city. The sartorial divide that is clearly present when it comes to sweatpants is much like the argument with shorts. These days sweatpants and even skinny versions of the loose pant with an elasticized or drawstring waist have managed to make more than just a splash on the fashion scene. Love them or hate them, their interpretation has experienced a wide range of results, some a little more experimental than others, like peddle pusher sweatpants. I saw a stout man don a pair in the duty free of an international airport recently. Given his body type and affinity for tanning the result was quite dire. For those of us who appear more traditionalist in the fashion realm, there are many styles out there that incorporate the sweatpant look in a more conforming manner. Designer sweatpants can look much like a great pair of skinny denim or khakis but just more marly and did I mention, comfortable? Unsweat Pants and Sweat Trousers are just some of the names that retailers are using to call these snug and casual creations. Online retailer Ssence, Band of Outsiders, Club Monaco and J.Crew are just a few of the establishments out there who are offering some really successful interpretations for consideriation. By happenstance, I discovered that Salma El Mosfi, the cute voice behind the work of Ziad Rahbani’s Monodose, had released a follow-up record titled, Salmanova. Much like any musical project that isn’t furnished by Rotana, it is no surprise that this one slipped under the Arabic music radar. The 12 airy tracks reaffirm Salma as a chanteuse who is full of charm and light-heartedness, qualities essential to the bossa nova sound. The genius that existed in Monodose was the Lebanese cultural element the record encapsulated. Packaged also à la bossa nova, the songs told a Lebanese Francophone story, reinterpreting a Western musical genre to outfit an Arabic point of view. Making a slight shift, Salmanova presents light, bossa nova Arabic tunes sans the use of the kanun and explicit Lebanese slang. Rather, the record’s structure is classic in its instrumentation and vocal delivery. “Inad ou Ihssass” and “El Ghina Ahla Chee” are reminiscent of the artistic beach-culture that recalls Rio in the 1950s. A Billie Holiday cover (“At The End of a Love Affair”) is thrown in the mix along with “J’ai Deux Amours,” endearingly, Paris and Beirut being the two loves of Salma. 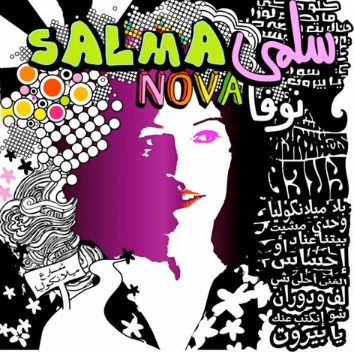 This isn’t a revolution to the Lebanese music repertoire, however, Salmanova is a refreshing change from the disposable pop numbers that liter the Arabic charts today. Westville serves American fare that is fresh, wholesome, and delicious. This comes sans the pretension of a West Coast foodie palate or the platitude fashion other wise known as only eating local. 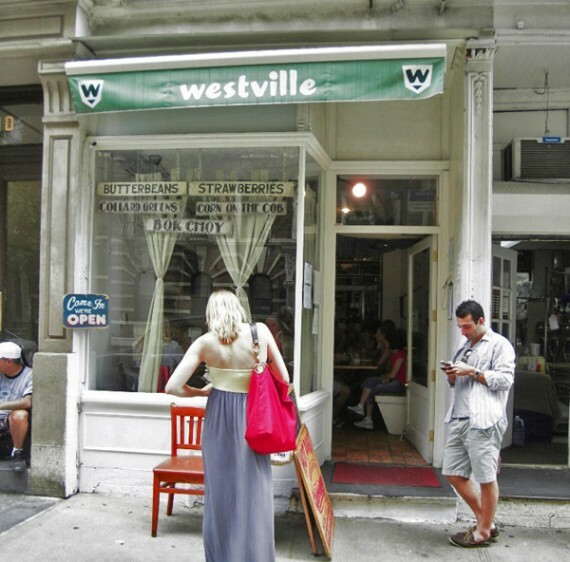 Rather, Westville is representative of the kind of simplicity that is aspired in cooking techniques but is never really captured. This is where the restaurant’s Market Sides fit the bill. Culled locally and seasonally, vegetables take center stage as they are prepared to perfection. These aren’t the veggies you’ll hold your nose against eating as quickly as possible, rehashing the torture you may have endured as a child when force fed Brussel sprouts. Here they are rendered in mustard and are divinely sweet. Fennel is served with parmesan and is perfectly licorice like in flavor, a result of just the right amount of roasting. Chicken and salmon are highly favored at this bright and airy eatery. They are cooked and seasoned beautifully, particularly the salmon. Amidst a bed of dressed greens, the fish is artfully grilled, preserving a gorgeous hue and slightly cooked center. As I began work on a package design project for a food item, I dedicated time to study the visual communication of net weight and its respective standards of visual representation. I noted a stylized E on the packaging of many products, particularly on the shiny containers of my favored Illy and Lavazza espresso. I learned that the mark regulated mass and volume by assigning a nominal weight to a packaged good that came from the E.U. This assignment contributes to the accuracy of net weight by accepting that only a negligible fluctuation can occur in weight, per batch or product. The symbol is available in the glyphs palette of Adobe InDesign and Illustrator. 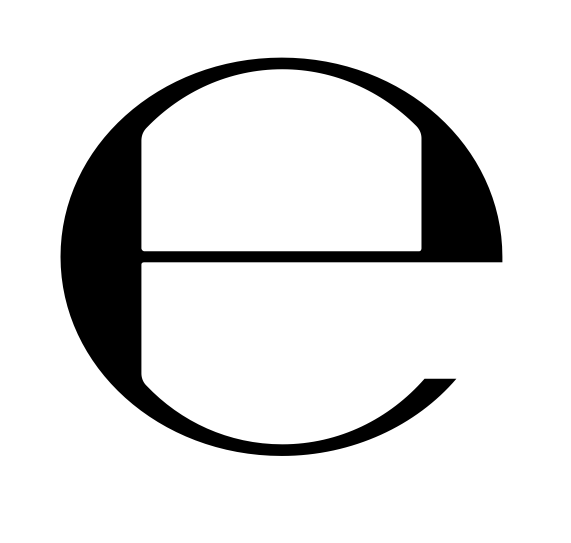 The sign has been included in the Unicode list of characters, and is regarded as a new basic character in a typeface. It’s characters are U+212E. 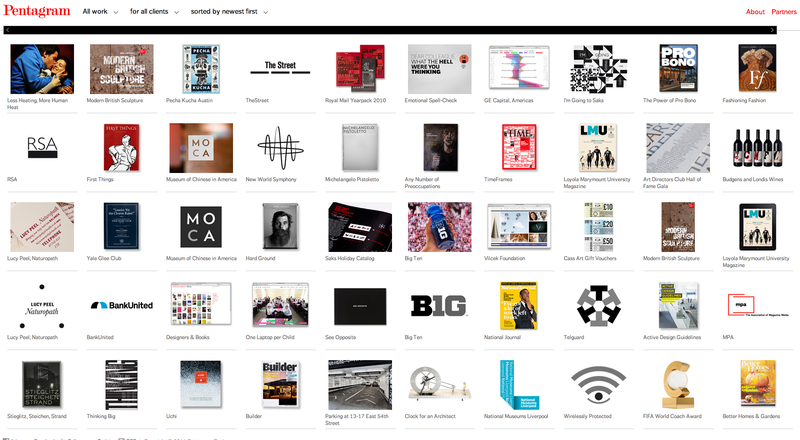 Over the past few months, the multi-faceted design firm, Pentagram updated their website’s interface. Highlighting their achievements and visual acumen, the facelift showcases the firm’s portfolio archiving a substantial amount of work in an interactive gallery that is simple, but illuminating to Pentagram’s achievements. Reminiscent of a search engine’s image interface, it showcases a heritage of design that stems from all sorts of disciplines and mediums. This is a highly recommended resource for design inspiration and reference. 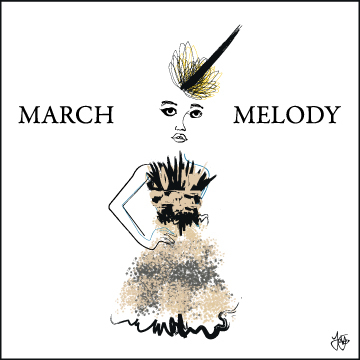 Music that gets the spin on runways and in retail is a fascinating concept. There is a compound of elements that need to be accounted for should the result be successful. A story and or point of view, even if as peripatetic as trends and styles, if recognized, is a narrative established. This account is an integral component in translating the fashion story to the public and music is often the orchestrator of such performances. 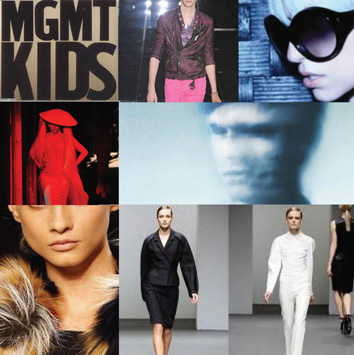 Inspiring Gucci’s 2009 Spring collection, MGMT’s music, defined the line’s multicolored trance theme. Similarly, but on a much more explicit level, Lady Gaga blurred the lines that define music and fashion recently with her plodding of the Paris runway for Mugler while her own tunes reverberated the catwalk. Amidst amber and mineral type treatments, Fendi’s Fall 2011 Ready to Wear collection opened with James Blake’s cover of “Limit to Your Love.” The track is minimalist yet still jeweled in its interpretation of a Feist original. 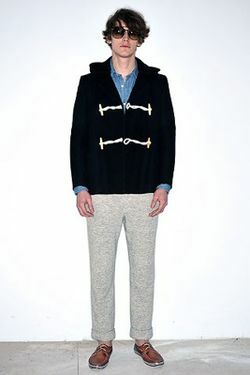 Translating the sartorial into sound, James Blake also musically painted Calvin Klein’s Fall 2011 collection quite perfectly, as the line’s tame and restrained qualities mimicked the minimalist, woozy Moby-esqe sounds of Blake warbling on the runway. This is an artist who is redefining the electronic music scene with his minimalist yet bass-laden subtracting sounds. Listen to James Blake “Limit to Your Love” here.